Everything but the Candy - Easter Baskets for Little Girls Mama Say What?! | Mama Say What?! Holidays are so much more exciting now that I have a child to celebrate them with. Cassidy was born in January 2012, so when Easter came around last year, it was really more for me than her because she was just two and a half months old. 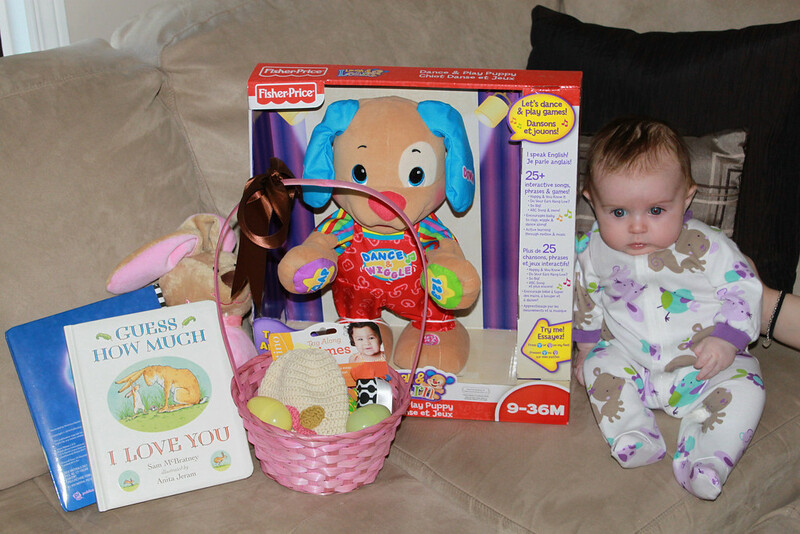 I still put an Easter basket together for her, propped her up to take photos and ‘ooh’d/ahh’d’ at all of the items she received. This year, because of when Easter falls, she will be just over 14 months old. The last thing that I want to put into her basket is candy because, as her mama, I feel as though she is still too young for it. Regardless of age, I know that there are lots of parents who try to avoid giving their children too much sugar. 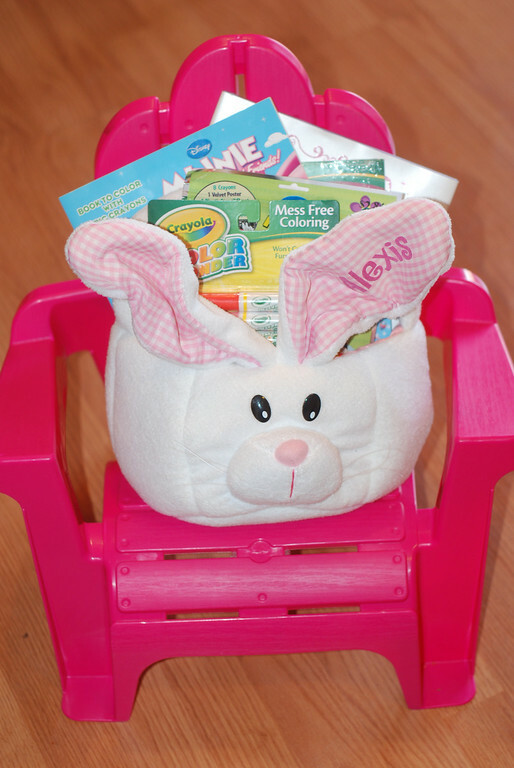 After doing a bit of research, I found that there are tons of great ideas when it comes to filling your little one’s Easter Basket. I promise… no sugar highs here! Books – any cute or Easter related books should do the trick. Maybe Minnie Mouse or Sofia the First? Socks/Slippers – Really. Who doesn’t love having comfy toes? There are some great BRIGHT colors out at the moment. Bubbles, Sidewalk Chalk and other outdoor activities – Anything to get your wee one outside, enjoying the sunshine! Headbands, hair bows, clips, etc. – let’s face it, these are just perfect items to give to your little lady, no matter what the occasion! Summer Dress – how about a brightly colored dress that will help keep her cool when the temperature outside starts to climb? Coloring books, crayons, stickers – Let your little one be creative and then fill up your fridge with their art work. Bath toys – My daughter loves the foam letters that are made for the tub. Learn the alphabet while getting clean! Bathing suit – I remember getting a new bathing suit in my Easter basket many times. As a child, I would get so excited about the Summer and when I could finally rock my new suit! Mommy & Me matching aprons – how adorable would it be to bake up a storm with your little girl and match at the same time? Nail polish – obviously this will depend on your daughter’s age, but why not try out a fun color! You can find ‘Piggy Paint’ on Amazon.com. A non-toxic, hypoallergenic polish that is perfect for her little ‘piggies’. What is going into your little girl’s Easter Basket this year? Added by Kathy S. on March 21, 2013. Pingback: Ask the Mamas: Easter Traditions Mama Say What?! | Mama Say What? !